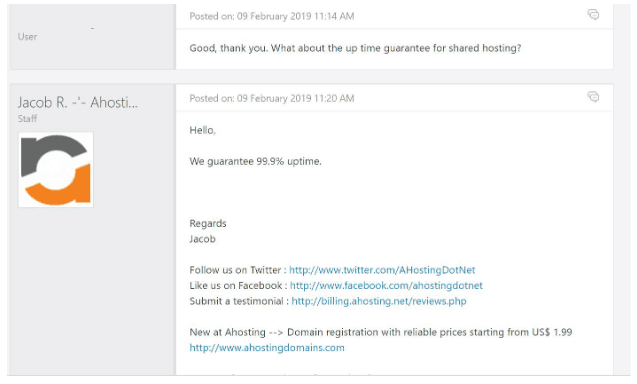 AHosting Review 2019: Is AHosting a Good Hosting? AHosting has been in the web hosting business for more than a decade. Customer support is quick, and the company’s hosting plans for video and music streaming are among the cheapest you will find. U.S.-based AHosting has been providing hosting solutions for individuals and businesses since 2002. As an American company, English is the principal operating language for its website and support. The company offers regular shared hosting and CMS hosting, FFmpeg hosting, reseller hosting, and dedicated servers. AHosting has two data centers in the U.S. (Orlando and Detroit) as well as servers in other U.S. and the U.K. data centers. The company offers various web hosting solutions and associated services for individuals and small businesses, including shared hosting, reseller hosting, CMS hosting, CDN, domain registration, and dedicated servers. AHosting’s FFmpeg hosting plans will be particularly appealing to anyone looking to host their own video or music content. The FFmpeg hosting provides easy video conversions into different formats such as Flash, OGG, H.264, and MPEG-4. The basic FFmpeg plan comes with 35 GB storage and 1000 GB bandwidth and a choice of video scripts including ClipBucket, ClipShare, VidiScript, CumulusClips, Vimp, PHPMotion, and Cliphouse. AHosting provides Content Delivery Network (CDN) solutions with up to 1,500 GB monthly traffic– to boost your website’s speed, scale up your search engine placement, and reduce server load. It also offers CMS hosting plans (for WordPress, Drupal, Joomla and more), and fully managed Linux and Windows dedicated servers with bandwidth varying from 3000 GB to 5000 GB and RAM of between 2 GB and 12 GB. AHosting offers six different hosting services, each with a choice of server location (U.S. or U.K.). The U.K. plans are slightly more expensive than the U.S. plans, but both include the same features. Unfortunately, SSL certificates cost extra. You can pay for plans using PayPal or major credit/debit cards, and there is a 30-day money-back guarantee that will make your initial decision a little easier (because you can get out within the first month). One of AHosting’s high points is its 24/7 customer support. I enjoyed chatting with the ticket support agents, and I got answers to all my questions within minutes. If you prefer to support yourself, you’ll be pleased to see AHosting’s FAQ page, blog, Flash video tutorials, and knowledge base. Compared to other web hosting services, AHosting can be a little costly, except for its specialist FFmpeg plans. Its 99.9% uptime guarantee is a little low by industry standards, but where this provider really wins out is with its attentive technical support. For FFmpeg hosting and so much more, check out AHosting. 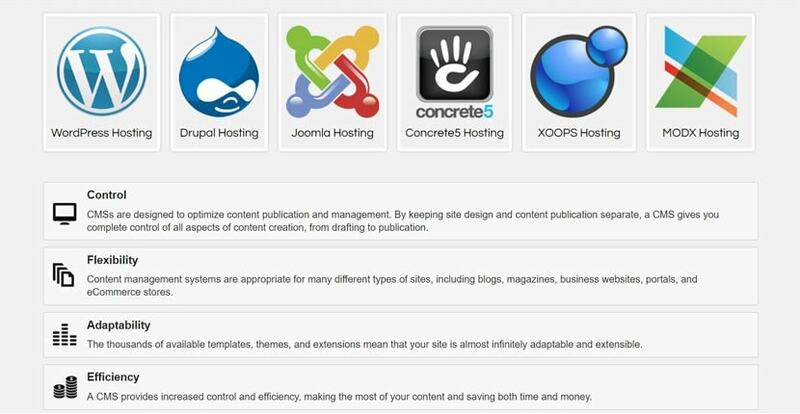 Wondering how AHosting stacks up against other Web Hosting companies? Enter any other Web Hosting company and we will give you a side-by-side comparison.